A badly composed photo How to Compose a Photograph: 5 Essential Rules to Follow How to Compose a Photograph: 5 Essential Rules to Follow If you want to get really good at photography, there are some vital rules around image composition that you should consider. Here are five of the most important. Read More can often be set right in Adobe Photoshop with something as simple as the Crop tool. Learn the tricks for cropping a photo, shaping up the frame, focusing on the right subject, and even changing the perspective of the scene. 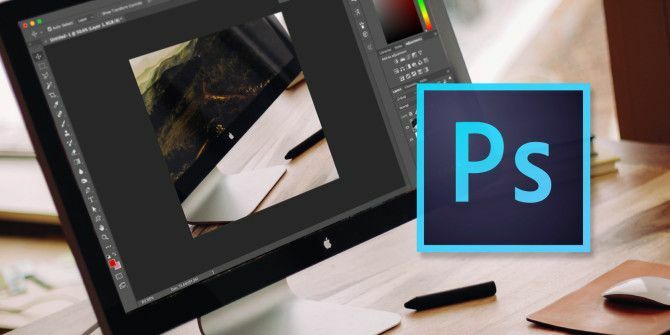 Thanks to the latest versions of Adobe Photoshop CC, you can even straighten a tilted photo without subtracting any content. More on that later. Let’s see how to use the Crop tool in Photoshop CC 2018. Select the Crop tool from the toolbar. Crop borders are displayed on the edges of the image. You can also use C as the keyboard shortcut. borders. You can also specify the Crop options on the Control bar. Hit Enter to finish the crop. Note: In the Options bar, you can enable the Delete cropped pixels option to delete any pixels that are outside the crop area. These pixels are lost and are not available for future adjustments. Alternatively, do not select the option when you want to keep the pixels for further adjustments. But Photoshop’s cropping power doesn’t end here. Photographers can apply a few more tweaks with the crop options on offer. Fill in the missing gaps when you straighten a photo, expand a photo beyond its normal size, or slightly rotate an image. Select the Crop tool > Options bar > Content Aware. The Crop rectangle now includes the whole image. Use the marquee handles around the image to straighten, rotate, or expand the area of the image. Click the checkmark on the right to commit the changes. Photoshop intelligently fills in the gap or extra areas in the image. You can crop two documents with different aspect ratios to the same size quickly with the Crop tool. This is the quickest way without comparing image sizes of the two photos. Open the two images side by side and zoom them to the same percentage. The image on the left is the target size in this example. Select the Crop tool. Choose Front Image from the list under Width – Height – Resolution. This places the width and height and resolution of the image into the options bar. Then, select the second image with a click. Reposition the crop as desired and hit Enter. The two images will be the exact same size. There are other tricks involved with the crop tool. But these will help you quickly resize and crop any photo in Photoshop. Have the extra options helped you retouch your photos?